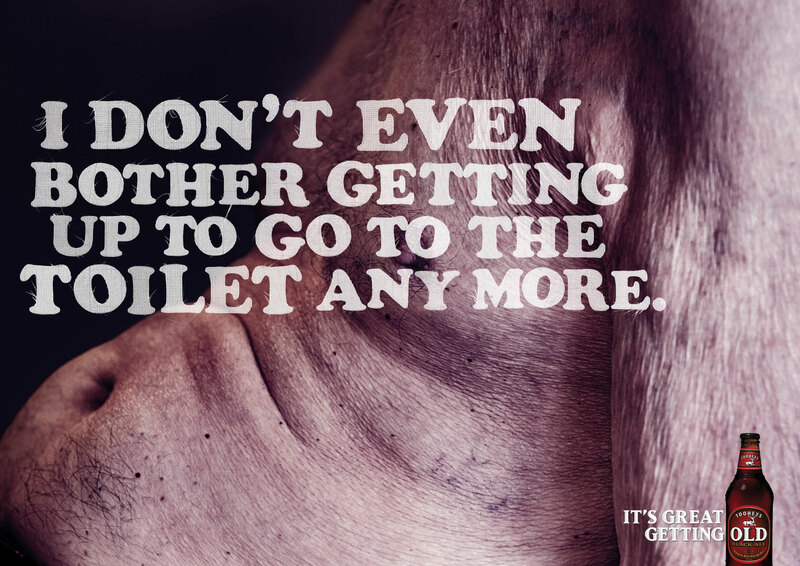 Lion Nathan has launched a print and poster campaign encouraging a younger audience to take a fresh look at the “old man’s beer”, Tooheys Old Black Ale. Six photographs of old men in old skin come with copy suggesting that there’s a silver lining to getting old. “I get money for doing bugger all”. 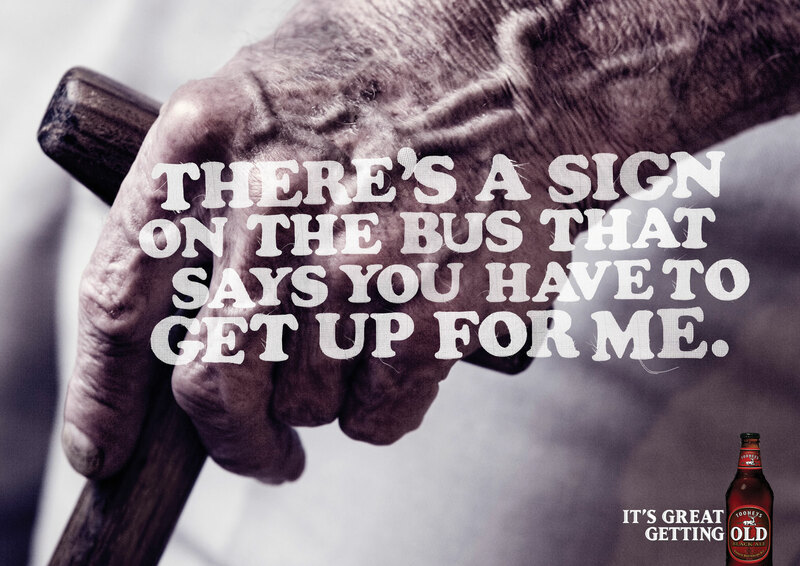 “There’s a sign on the bus that says you have to get up for me”. 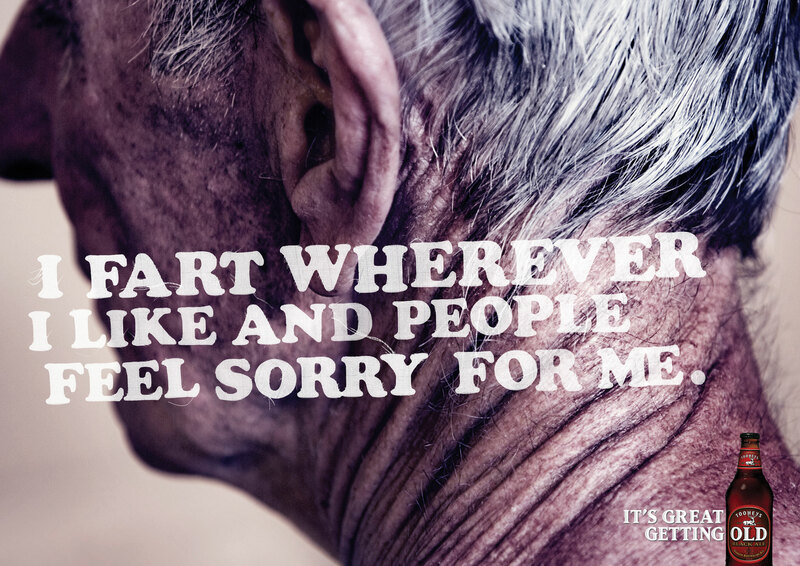 “I fart wherever I like and people feel sorry for me”. “Hey You! 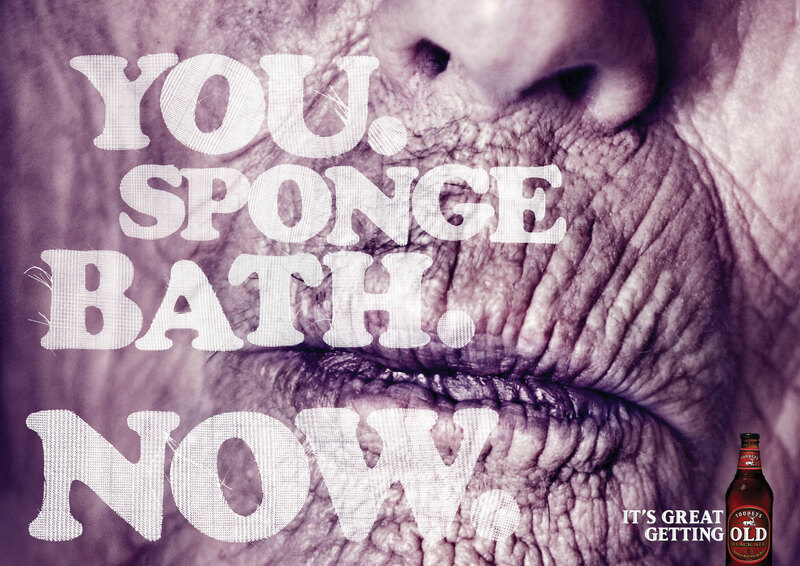 Sponge Bath Now!” “I don’t even bother getting to go to the toilet anymore”. 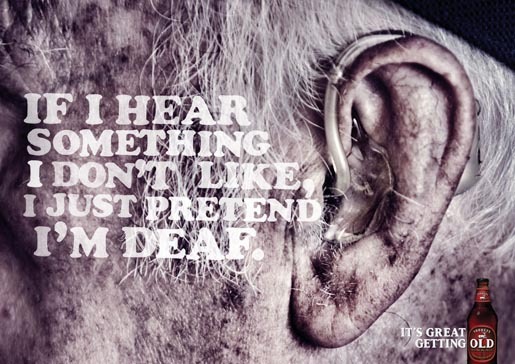 “If I hear something I don’t like I pretend I’m deaf”. 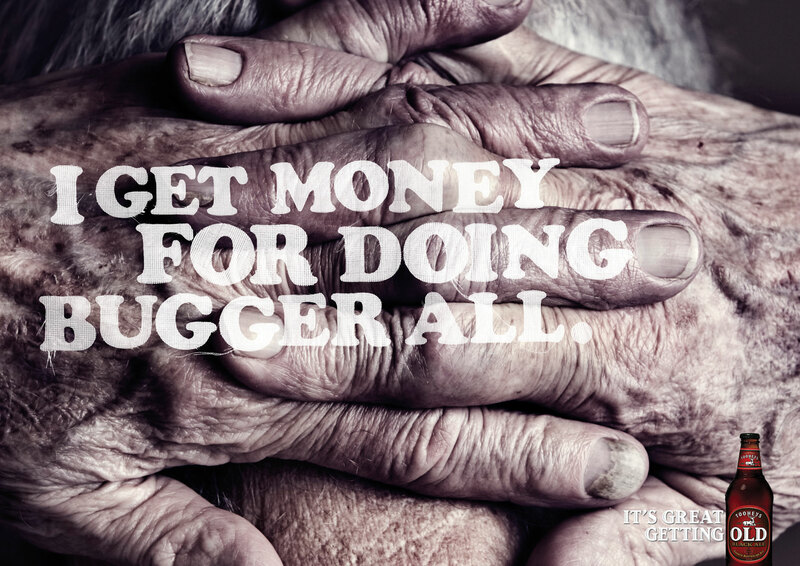 The tag line, “It’s Great Getting Old”. 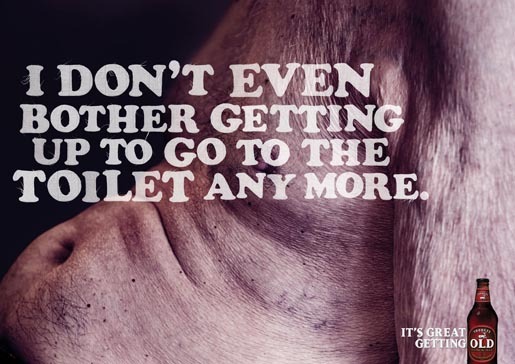 The Tooheys Old campaign was developed at Saatchi & Saatchi, Sydney, by creative director David Nobay, art director/typographer Vince Lagana, copywriter Luke Chess, typographer/designer Nic Buckingham, photographer/retoucher Matt Hoyle.